The pace and complexity of managing modern finances leaves many people overwhelmed by apprehension. Inaction is always easier than acting, but it’ll leave you unprepared for your financial future. If you’re feeling uncertain about the future, having a well-prepared financial plan will help put you back in the driver’s seat. To manage your income and expenses effectively throughout your lifetime, consider partnering with a LPL advisor from Lake Michigan Credit Union. You’ll get the help you need in creating a plan that strategically addresses your unique goals and needs. adjustments as you experience new life events or develop different perspectives. Financial planning pulls all your finances together, organizing them to make management easier and more effective. 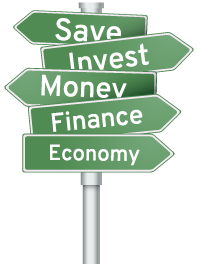 The more you understand and better manage your wealth, the more likely you are to get where you want to go. Don’t leave your future to chance. Call Lake Michigan Investment Services at (616) 234-6301 for a free, no-obligation appraisal of your finances.